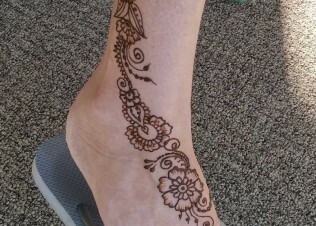 Custom Henna Tattoos in San Diego CA | Crescent Moon Designs Crescent Moon Designs – Start the party with body art! 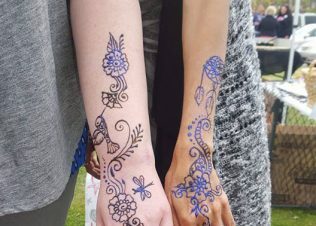 Start the party with body art! 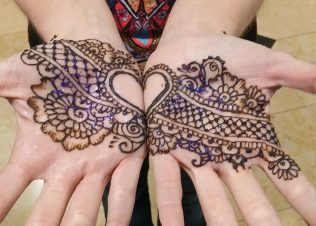 Henna is a fun addition for Bat and Bar Mitzvahs, Sweet 16 parties, Qinceaneras, 40th birthday bashes and even 80th birthday parties! Natasha has a wide variety of traditional and modern designs to fit your party’s theme. 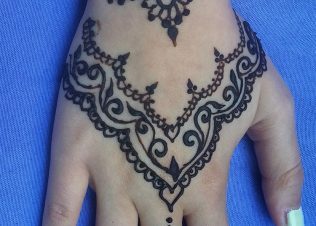 Henna has been traditionally used to celebrate the joyous arrival of a new baby a month or two before the birth. 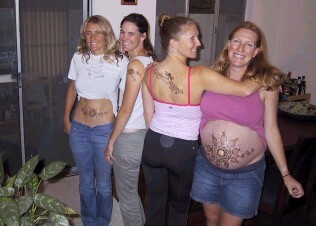 That tradition lives on when you add henna to your baby shower or blessingway. The designs can be good wishes for the mother and baby or just plain decorative fun. If the expectant mother is sensitive to certain scents, Natasha will make a special batch to suit her preferences. 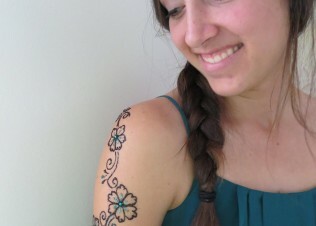 When you want a certain special something at your bridal shower or wedding reception, think henna. 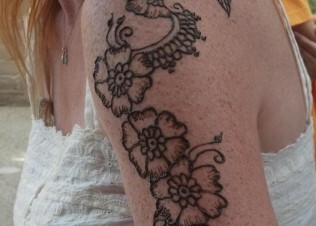 Traditionally used to decorate and bless the bride, henna and weddings go together. Natasha can do both traditional Sangeet designs and creative custom designs for your special day. 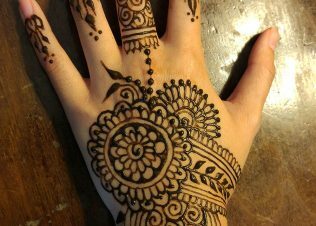 Whether the theme is Arabian Nights, Moroccan Spice, Bollywood or Egyptian, henna will add the perfect exotic touch to your entertainment. 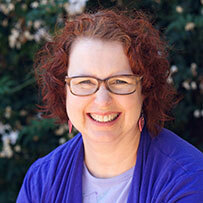 Natasha is happy to create custom design sheets for your event! She will also bring table décor to match your party’s color scheme and wear an exotic caftan or sari. 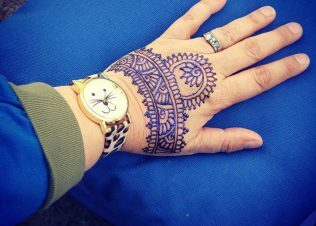 Thinking about getting a real tattoo, but aren’t sure where it would look best or if that design is really something you want forever. Wondering how a design that looks great on paper will really look like when it’s on a curved body surface. 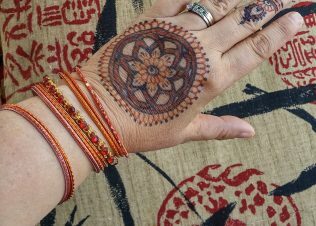 Test-drive the design in henna! It’s painless and temporary.